I have bought some very low cost video cameras. Ideal for use where using a mobile phone is inconvenient, too large or might get damaged. The model is a Q5 HD720P or so the instructions claim. I have some issues with the description of the ebay advert but dealing with that is not the purpose of this post. The little camera suffer from having the time stamp permanently displayed in quite a large font in the top left hand corner. Hunting on the internet has shown me that lots of people are trying to turn this off but no solutions are available. I have also not found a way to turn this off but I can set the time and get it to remember the time for the next recording without having to reset it each time. The very bad English instructions provided with the camera are just wrong but the few bits of English visible in the Chinese instructions appear to be correct. 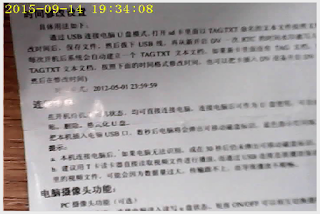 To set the date and time it is necessary to create a small text file and save it in the root of the SD card. Whenever the camera is turned on it reads the file and sets the date and time from that. However, if you don't edit that file, the next time you start the camera it will use the old time! To set the time create a text file called TAG.TXT. This can be created with any text editor such as Notepad in Windows. Save that to the root of the SD card and if the camera is already on then turn the camera off and back on again. The TAG file is only read when the camera starts up. 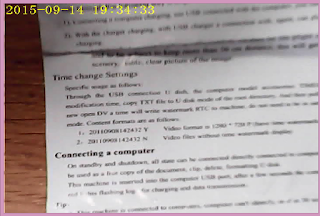 Note that the camera does not read the file, nor does it record video, if it is connected to the computer via the USB cable. 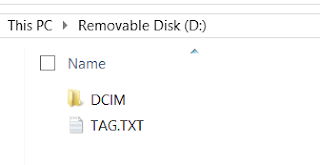 If you have saved the TAG.TXT file via the USB cable you must disconnect which usually reads the TAG file but just in case I always turn the camera off and back on again just to be sure. Now for the bit not shown in the instructions. 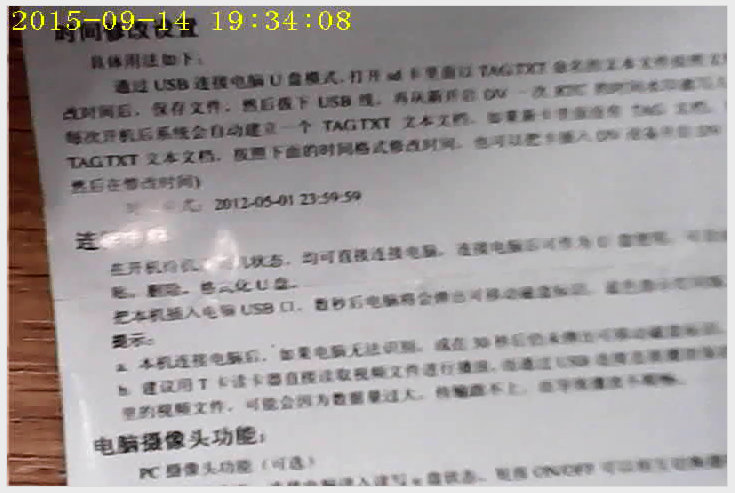 The camera reads the tag file every time and sets the date and time AGAIN! Deleting the file does not solve the problem! 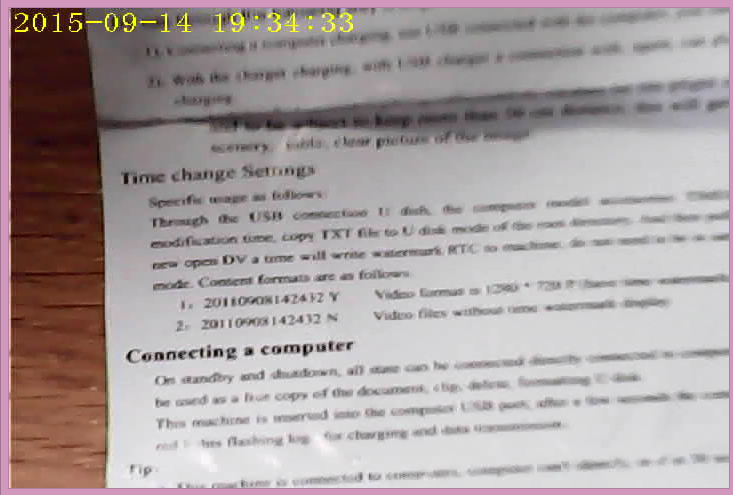 To get the camera to keep track of the time itself and not reset it each time it is important that the TAG.TXT file is changed so that it does not have a valid date. I found that setting all the numeric values to zeros worked to keep the existing date and time. Save that file back to the SD card and now when the camera is restarted it will not reset the time. It's a bit of a faff because you have to deliberately set the time and then immediately following that put the SD card back in to a computer to edit that file to have zeros otherwise the time is reset the next time the camera is restarted! You will only have to do this every now and then if the time drifts too much. I tried other years such as 1111 but that was treated as invalid! Another bit that is very poorly written in the English instructions are what the buttons do and what the lights mean. Here are my descriptions of the functions. 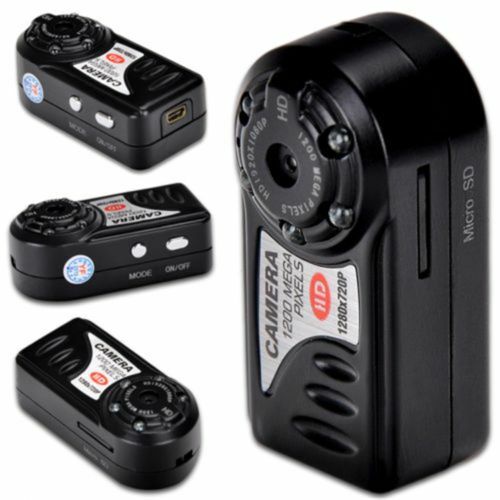 Start recording or take a photo - Press the ON/OFF button. Needs a positive press for a moment. Stop recording - Press the ON/OFF button. Do not remove the SD card until the lights have stopped flashing. It needs that time to finish saving the file. As mentioned above, the advert states the video is 1280x720 but I have been unable to find a way to set that and I am awaiting details from the supplier. 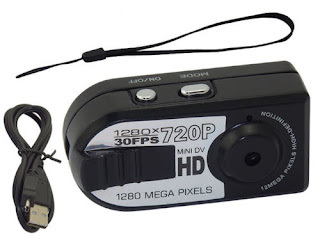 The supplier has agreed with me that the camera does not support the advertised resolution and has sent a refund. I've ordered a different but similar camera. This one claims full HD 1920x1080 but the sticker still only says 1280x720, which is the lowest resolution I would like. Hopefully, this one will do what I need.